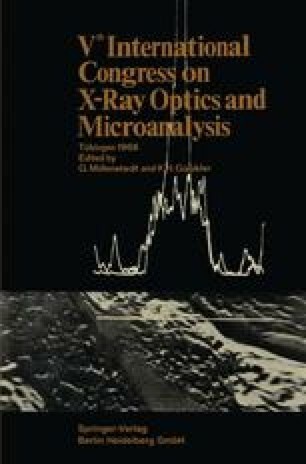 The peak to background ratio governs the limit of detection and the accuracy of the microprobe analysis of very low concentrations. Theoretical formulae are derived for the fundamental peak to background ratio, assuming that the continuous X-ray spectrum is the only source of background. The effect of the spectrometer resolution and natural line width is considered. Some experimental data for the Cr K α 1 and Cd L α 1 lines are compared with theory.